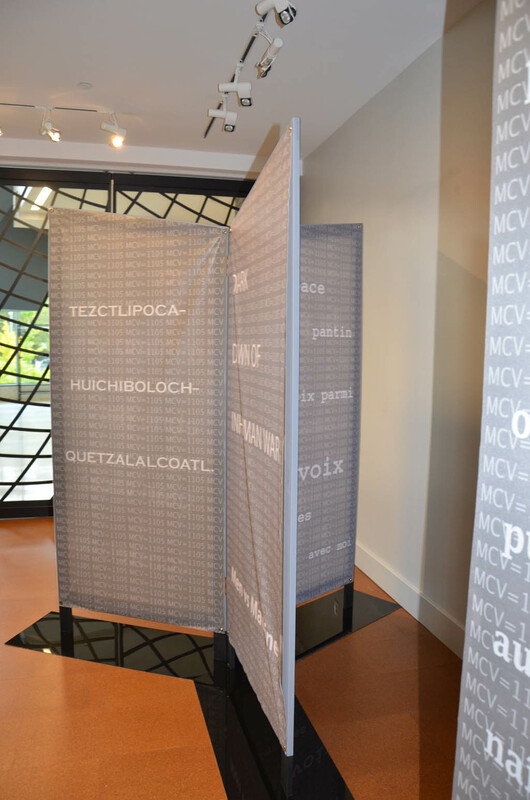 The first BABEL installation was presented in the Juan Heeren Gallery of the Peruvian North American Bi-national Cultural Center in Lima, Peru in May 2007. 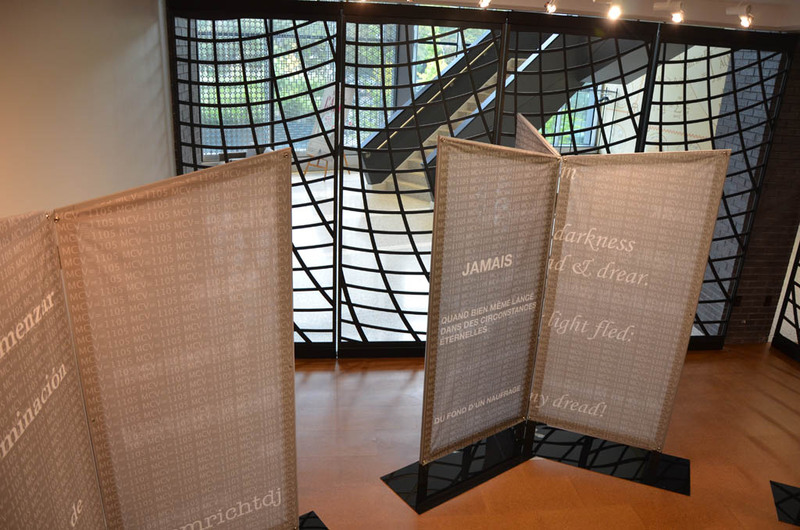 This installation was an architectural structure of interlocking hexagonal cubicles of bamboo with an illuminated central hexagon that referenced Borges’ image in his library of endless hexagonal bookshelves. 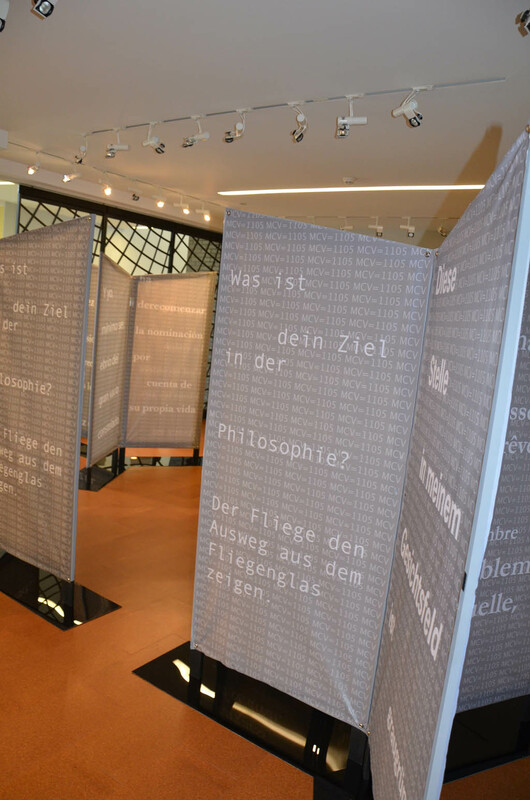 These shelves in my construction were replaced by walls of screen mesh printed with fragments of poetry in numerous languages. 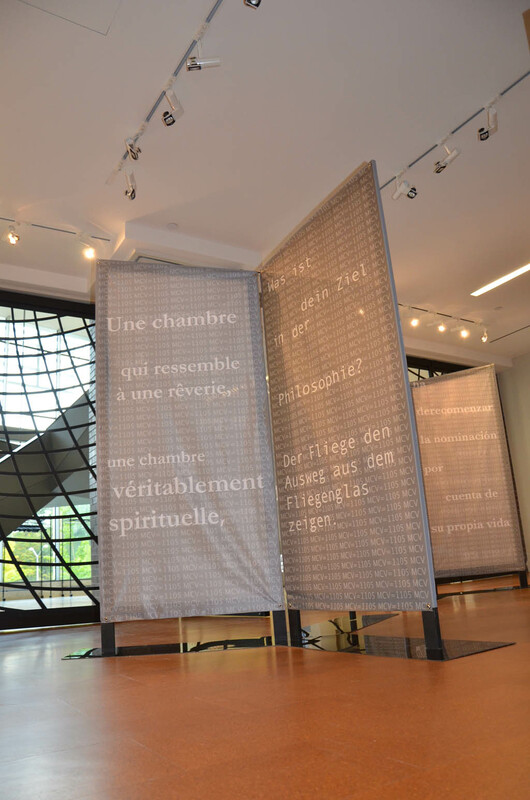 The unusual typographical dispersal of text across these screens echoes that of Stéphane Mallarme’s use of type in Un coup de Dés. 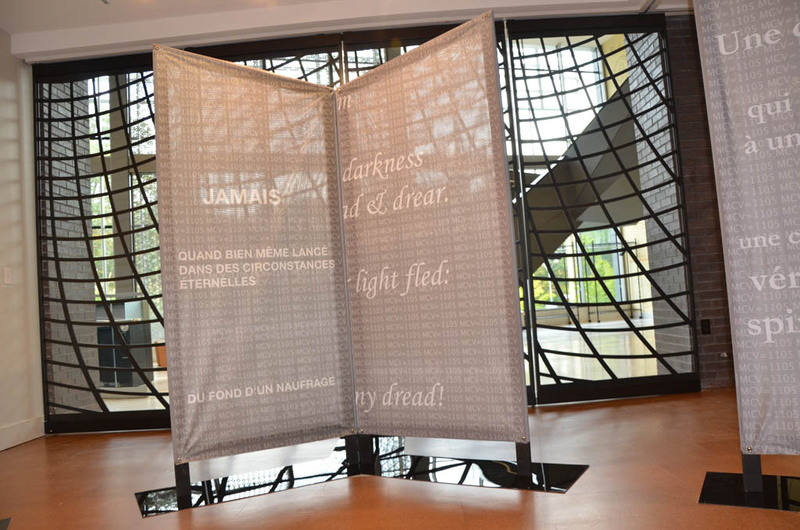 The illuminated central core of the structure was a spiraling bamboo framework covered with Japanese paper referencing the spiral staircase of the tale. 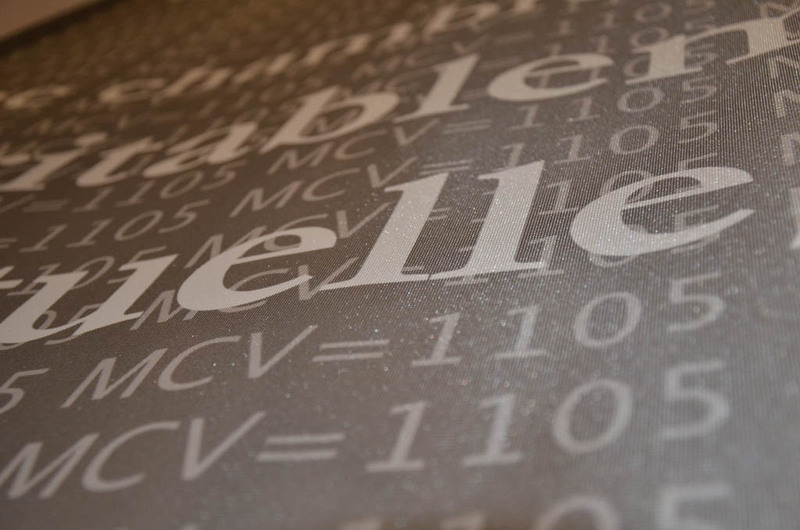 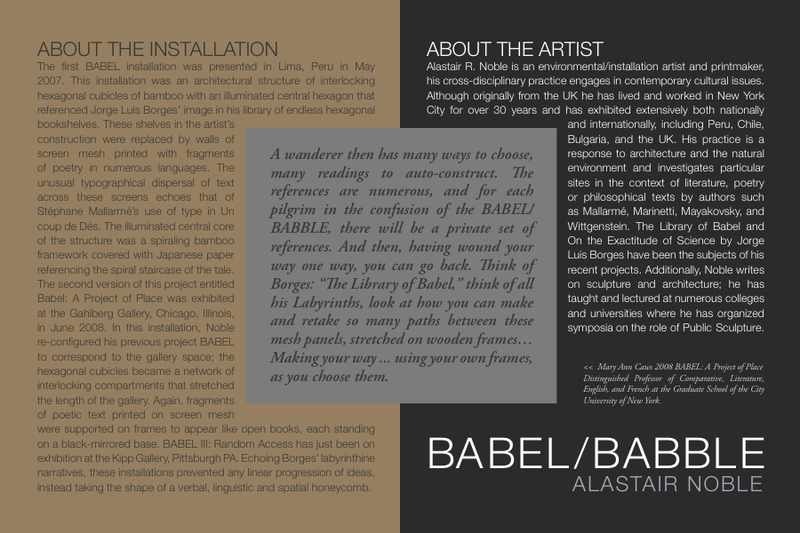 The second version of this project entitled Babel: A Project of Place was exhibited at the Gahlberg Gallery, College of Du Page Chicago, Illinois, in June 2008. 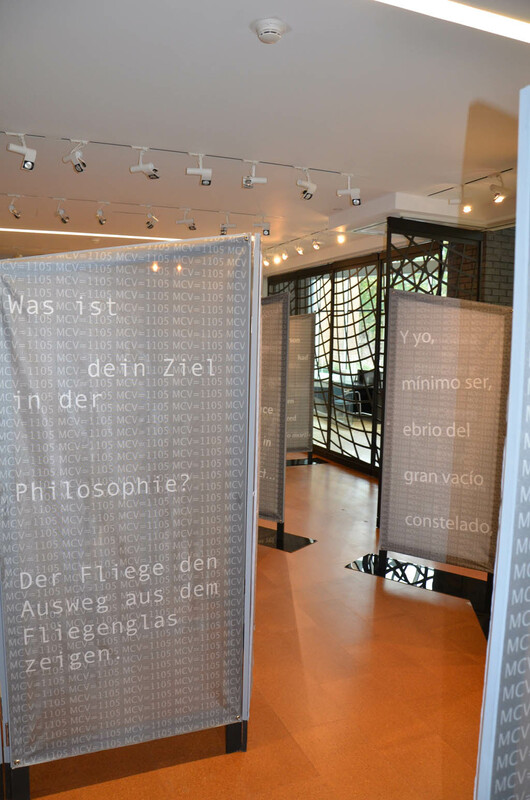 In this installation, I reconfigured my previous project BABEL to correspond to the gallery space. 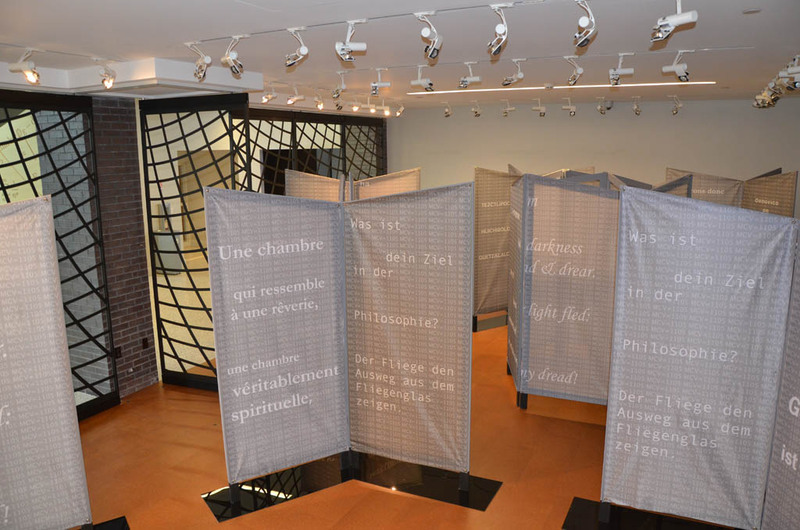 In this case, the hexagonal cubicles became a network of interlocking compartments that stretched the length of the gallery. 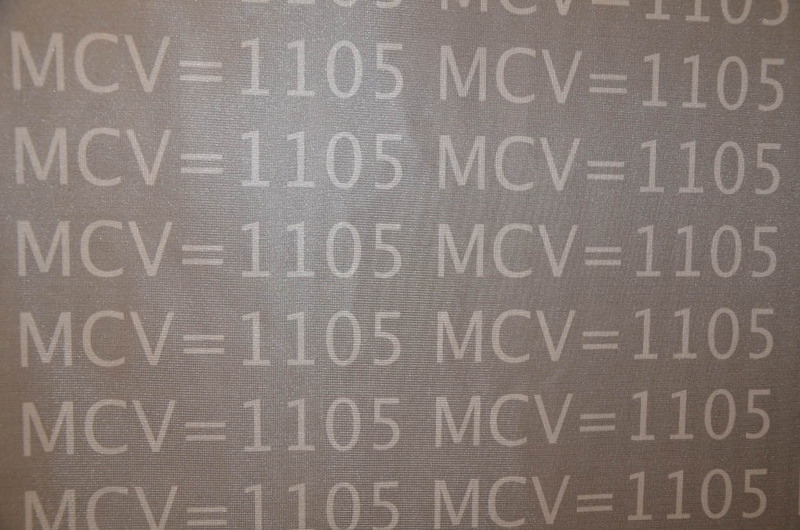 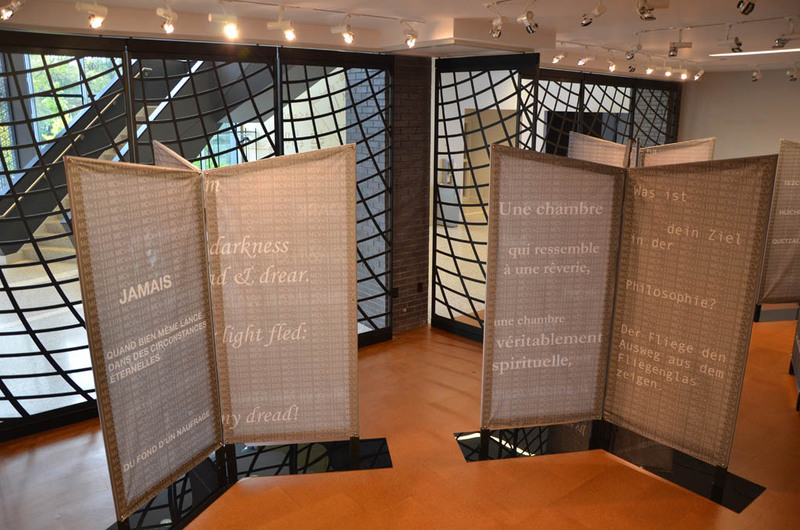 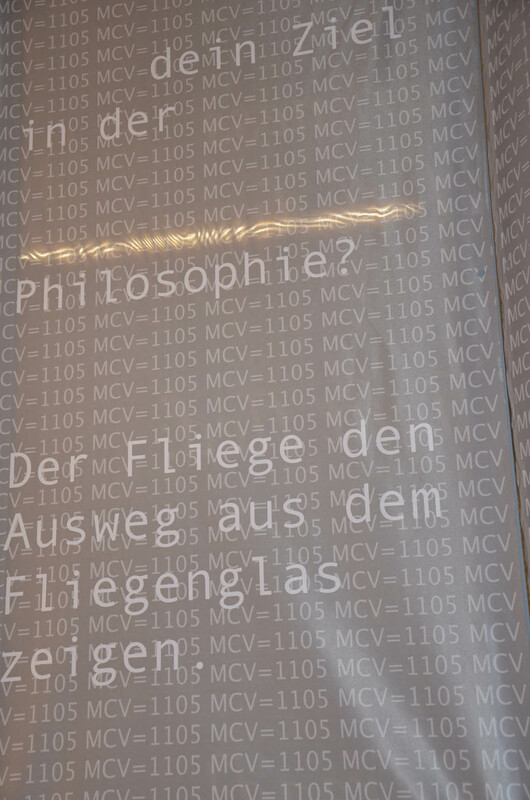 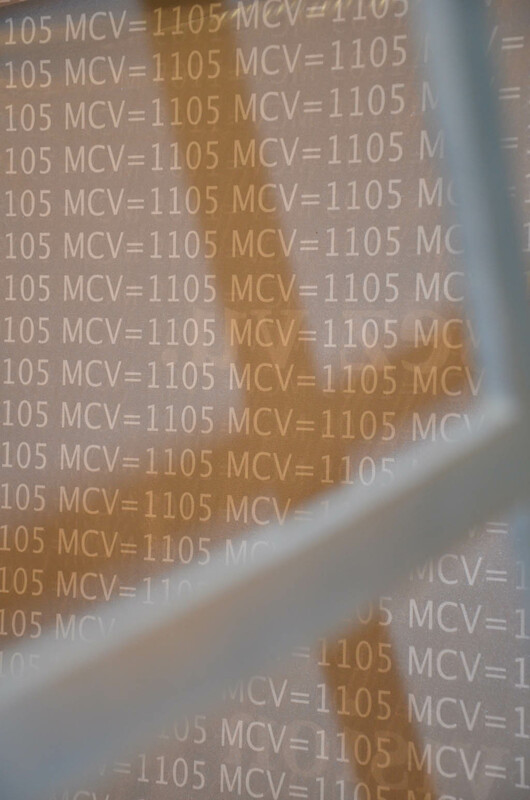 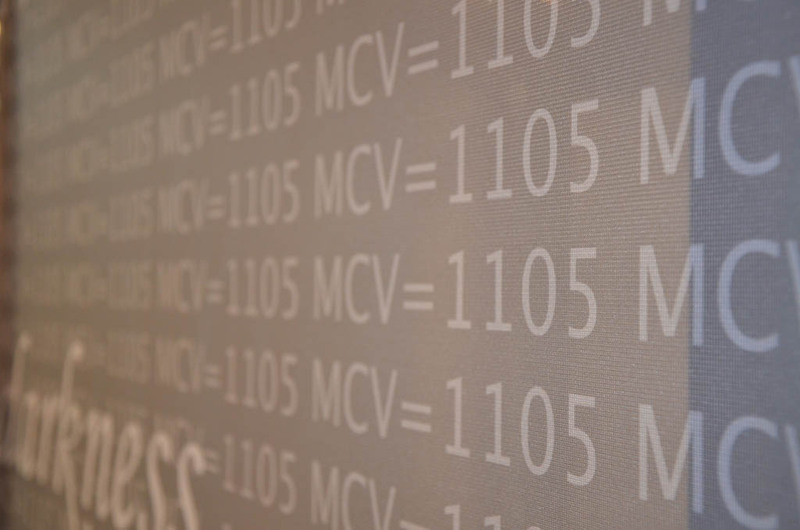 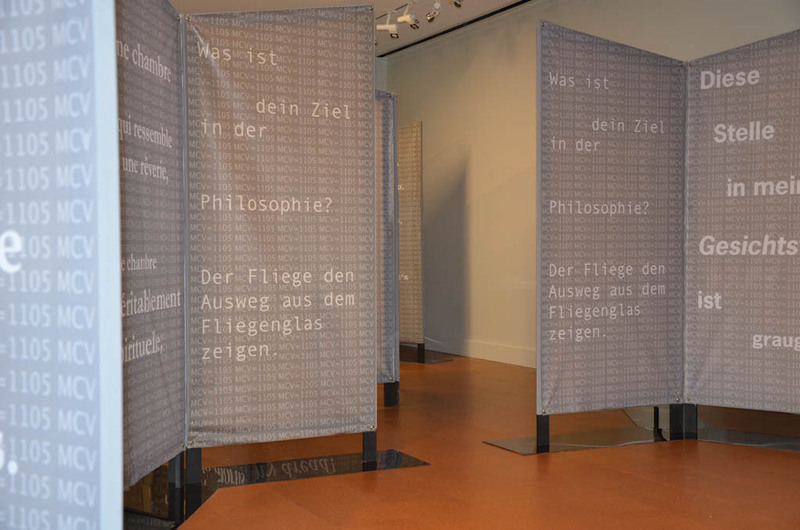 Again, fragments of poetic text printed on screen mesh were supported on frames to appear like open books, each standing on a black-mirrored base. 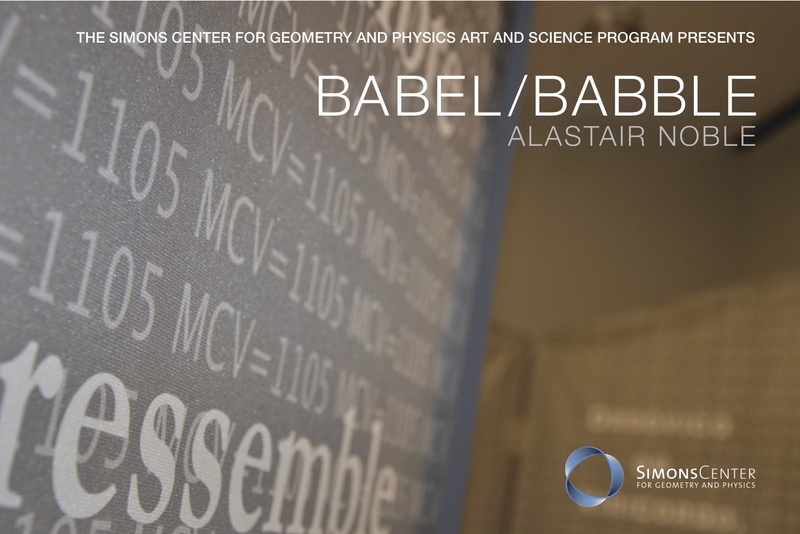 BABEL III: Random Access has just been on exhibition at the Kipp Gallery, Indiana University of Pennsylvania, Pittsburgh PA. 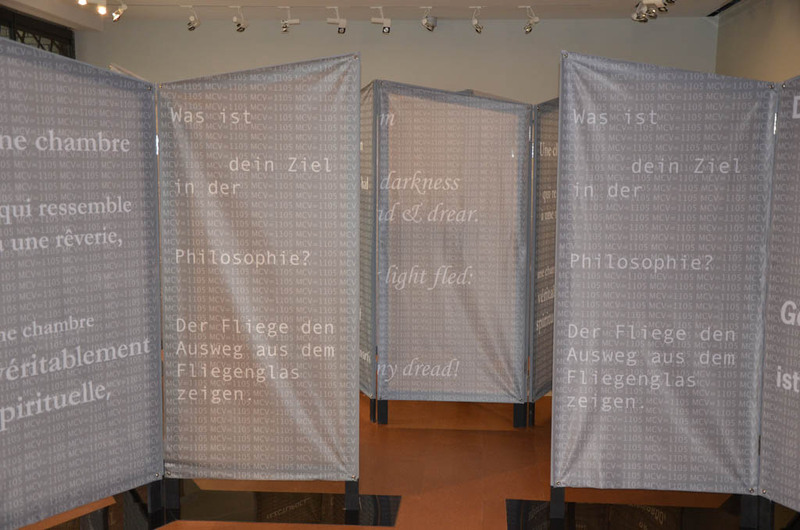 Echoing Borges’ labyrinthine narratives, these installations prevented any linear progression of ideas, instead taking the shape of a verbal, linguistic and spatial honeycomb. 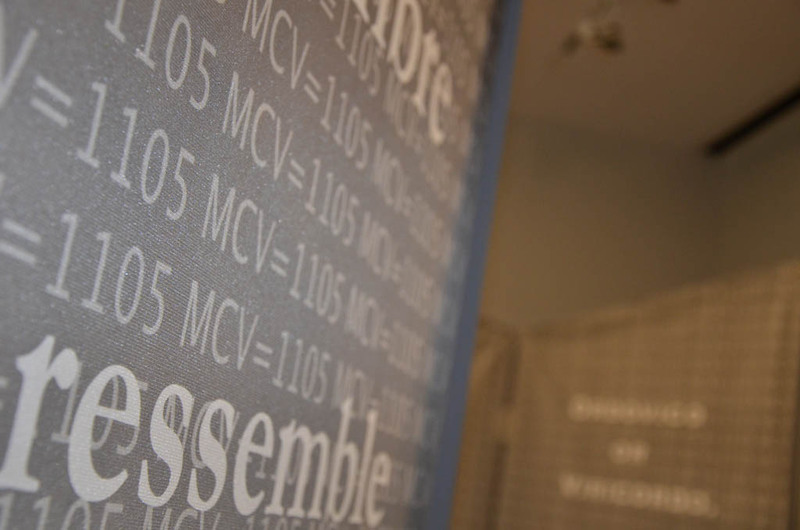 Alastair R. Noble is an environmental/installation artist and printmaker, his cross-disciplinary practice engages in contemporary cultural issues. 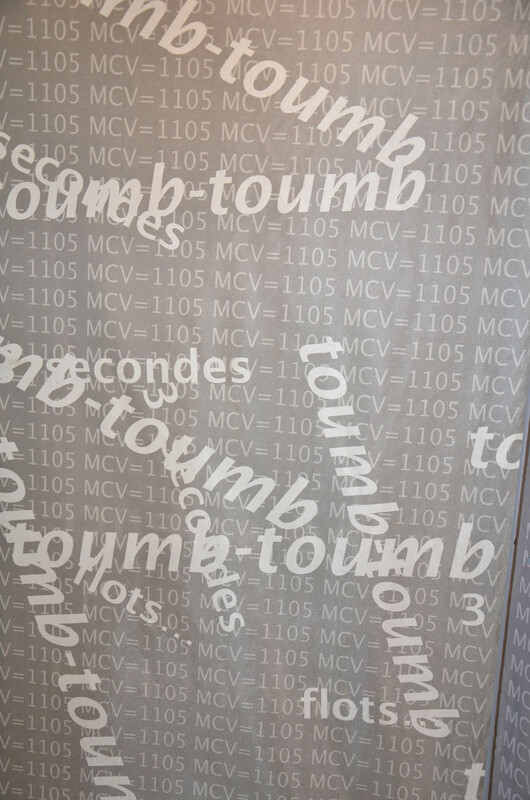 Although originally from the UK he has lived and work in New York City for over 30 years and has exhibited extensively both nationally and internationally, including Peru, Chile, Bulgaria, UK. 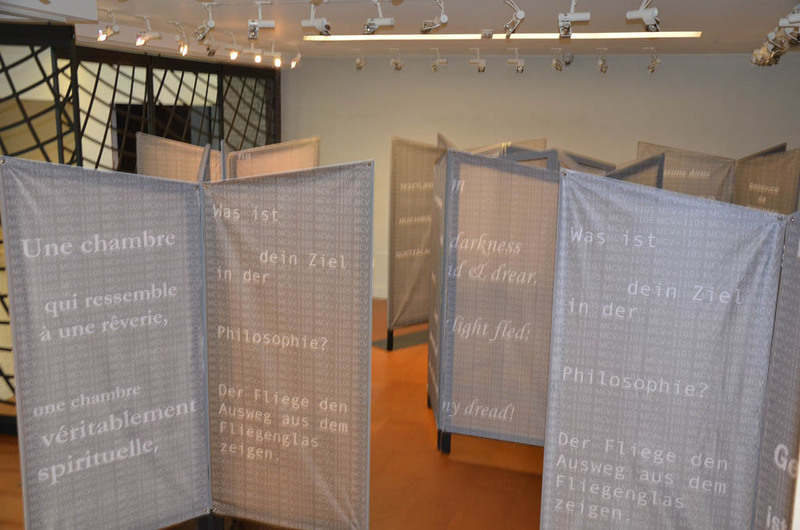 His practice is a response to architecture and the natural environment and investigates particular sites in the context of literature, poetry or philosophical texts by authors such as; Mallarmé, Marinetti, Mayakovsky, Wittgenstein. 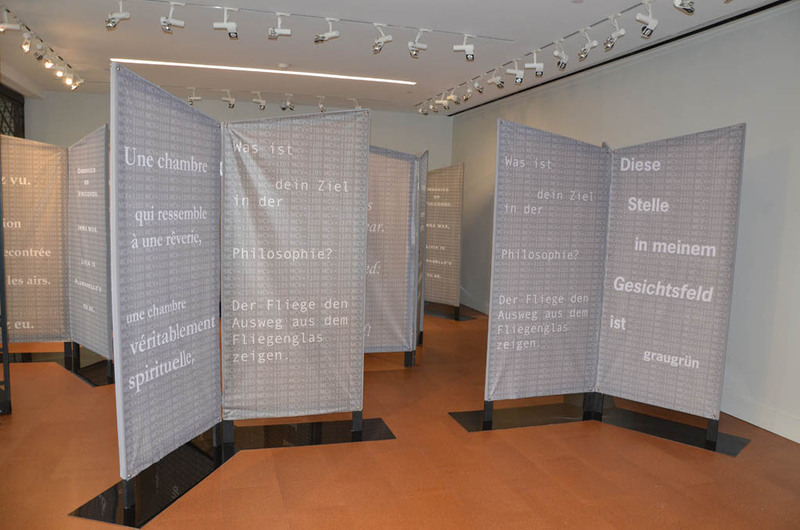 The Library of Babel and On the Exactitude of Science by Jorge Luis Borges have been the subjects of his recent projects. 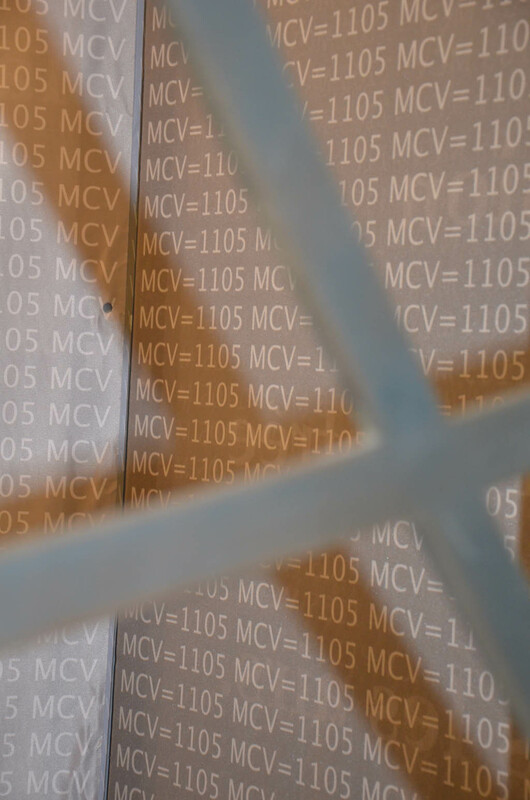 The latter text he transposed into a series of environmental interventions entitled Mapping Arcadia these are investigations into alternative methods of mapping the landscape. 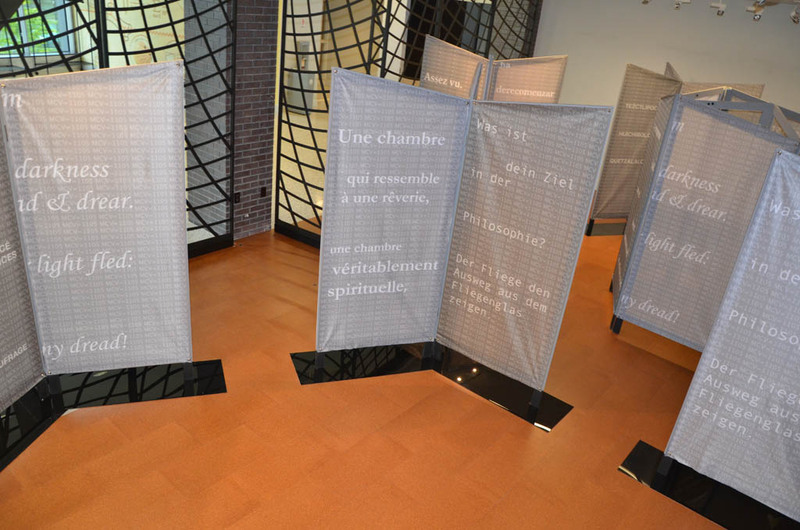 The former is a series of interior labyrinthine installations that evoke aspects of the text within a hexagonal format. 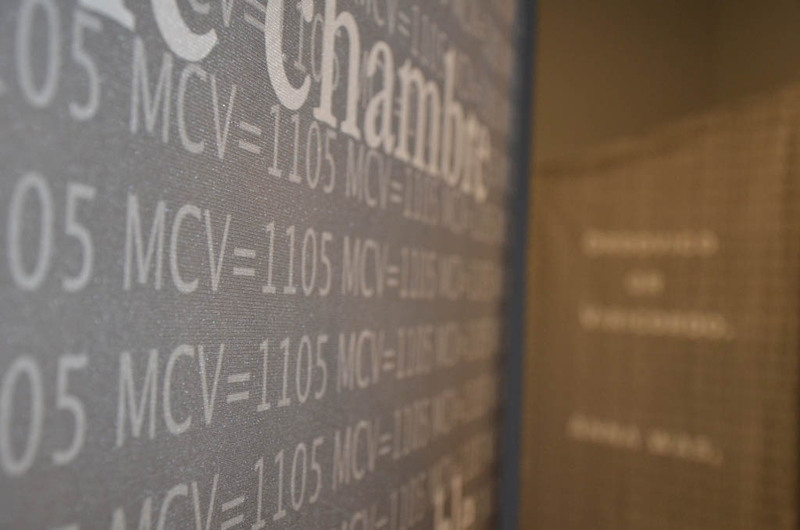 Additionally he writes on sculpture and architecture for international sculpture magazines and journals. 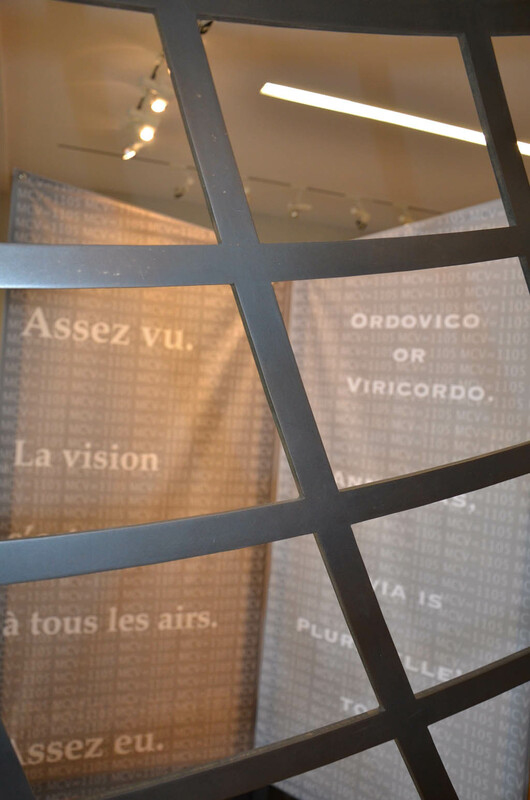 He has taught and lectured at numerous colleges and universities where he has organized symposia on the role of Public Sculpture.